The modern kitchen and bath have come a long way from being strictly functional to being aspects of the home that often express the highest design aesthetics. The modern kitchen is considered the social center of a home, while the contemporary bathroom often seems more like a fully fledged spa rather than just a place to refresh yourself and maybe put on makeup. Among the different renovation and remodeling projects typically carried out around the home, kitchen and bath remodeling are two of the most cost effective. 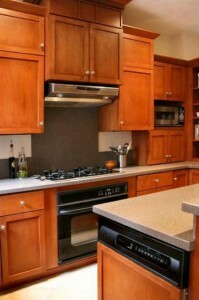 Kitchen Remodeling – One of the first things prospective buyers look at in a home is the kitchen. Because of this the real value of a beautiful kitchen from Superior Closets is harder to quantify than simply saying “It will achieve X ROI”. If your new kitchen makes the difference between selling and not selling your home when the time comes, then the true ROI is many times what you invested. Keep in mind that you don’t want to go overboard with your kitchen remodel. If your new kitchen is completely out of sorts with the rest of your home it could be as much a turn off as a turn on to prospective buyers. A sense of proportion and appropriateness are key to the successful kitchen renovation. Bathroom Remodeling – A bathroom remodel done right can be expected to generate a nearly identical ROI as a kitchen remodel. Taking the old room that contained your toilet, sink and shower combination and turning into a space people want to spend time in is an art unto itself and no one does it better than Superior Closets. When it comes to bathroom remodels, however, half measures will avail you little. People don’t want to see a combination of new and run down. So it’s all or nothing when it comes to bathroom renovations. When considering a bathroom remodel you should also think about expanding your bathroom space if you have the ability to do so. Half baths are becoming an anchor on a property’s salability in some areas as more and more buyers seek full baths even outside the master bedroom. Superior Closets has helped scores of homeowners in the GTA increase the value of their home with beautiful kitchen and bath renovations and we can do the same for you. To find out more, call us on 905-669-8280 and speak to one of our friendly and helpful design experts.